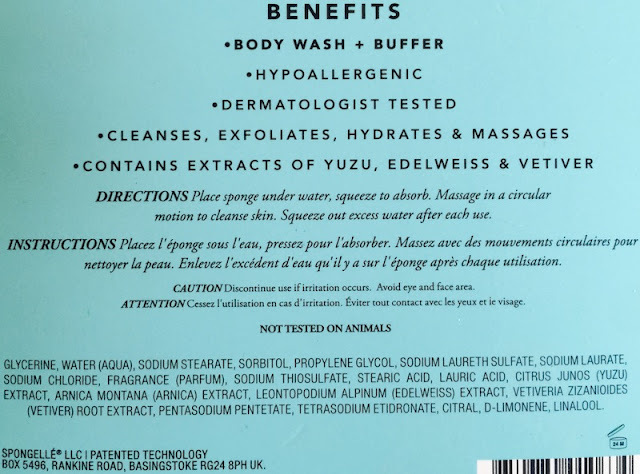 I have something of an obsession with high quality cleansing and exfoliating products for the body, and those capable of doing both really resonate with me. 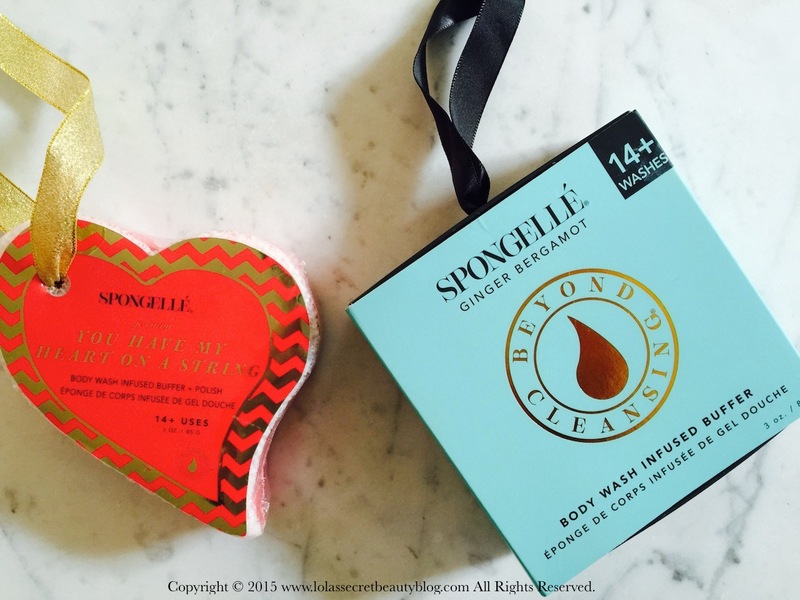 The moment that I saw the Spongellé Body Wash Infused Buffers I knew that I was in for a treat. These brilliant multitasking dual-sided body wash-infused sponges feature a soft sponge on one side and a grittier exfoliating surface on the other. You simply dampen the Spongellé Body Wash Infused Buffers with water to activate the lather and use the softer side to wash the skin, and the gritty side to exfoliate. 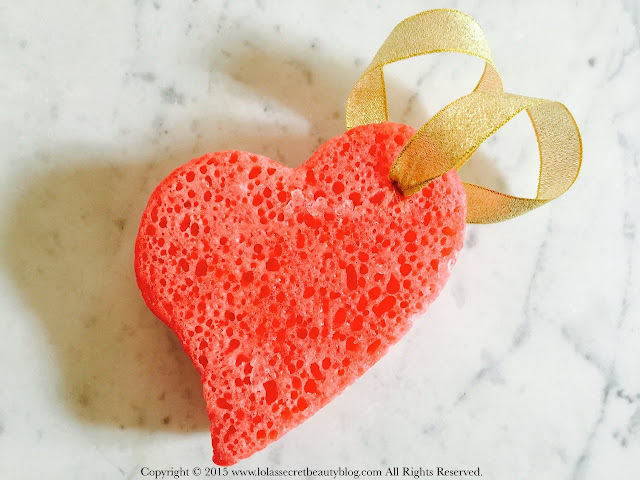 Each sponge is filled with enough body wash for a minimum of 14 washes, but I was able to get closer to 20 washes. 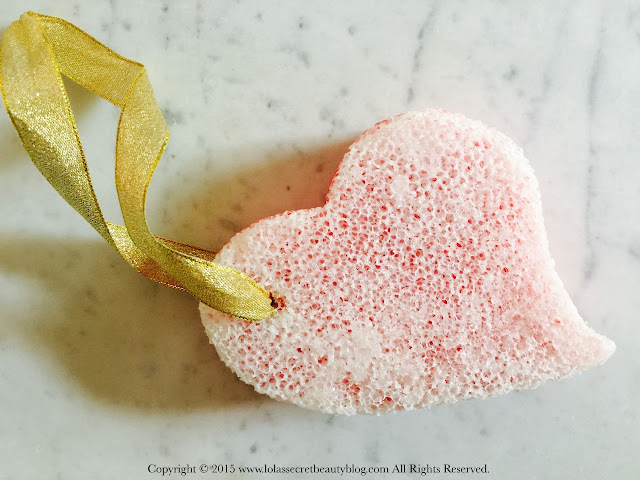 Once you have used up all of the body wash, the sponge itself is still quite intact, and therefore all you need to do is use it in conjunction with your favorite liquid or bar soaps. These sponges not only effectively remove dead skin cells, but they also leave the skin deliciously baby soft, smooth, supple and moisturized. I plan to stock up on these to give as gifts this holiday season because they will have such wide appeal to the people on my list, and they are a perfect choice for picky people who are hard to shop for. 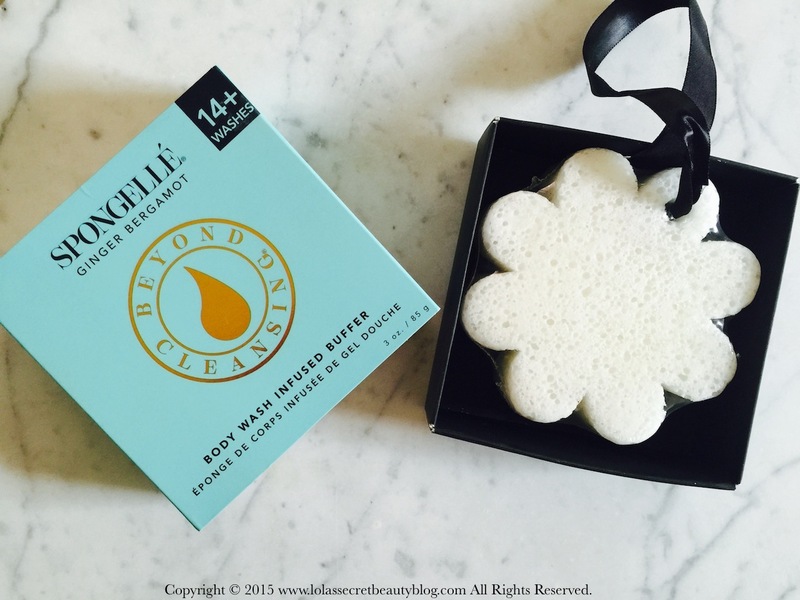 Spongellé Ginger Bergamot Body Wash Infused Buffer is dual-sided body wash-infused sponge with the delightful scent that is best described as a warm citrus. Unlike their You Have My Heart on a String body buffer, this one has the same non-abrasive texture on both sides. While it lacks the exfoliator on one side, it still offers enough friction to exfoliate dead skin cells. These colorful flowers are designed to moisturize and rejuvenate the skin from neck to toe. A unique surface changes instantly as you squeeze, from a sensual exfoliating massage texture to as soft as silk. Spongellé’s infusion technology provides a guaranteed number of uses, shower after shower. 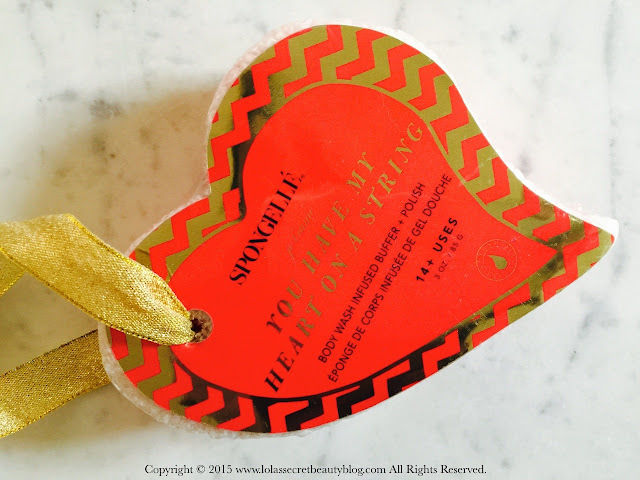 Spongellé's You Have My Heart on a String is a heart shaped and dual-sided sponge that is infused with an enriched and hydrating blend of olive oil and energizing and toning extracts. 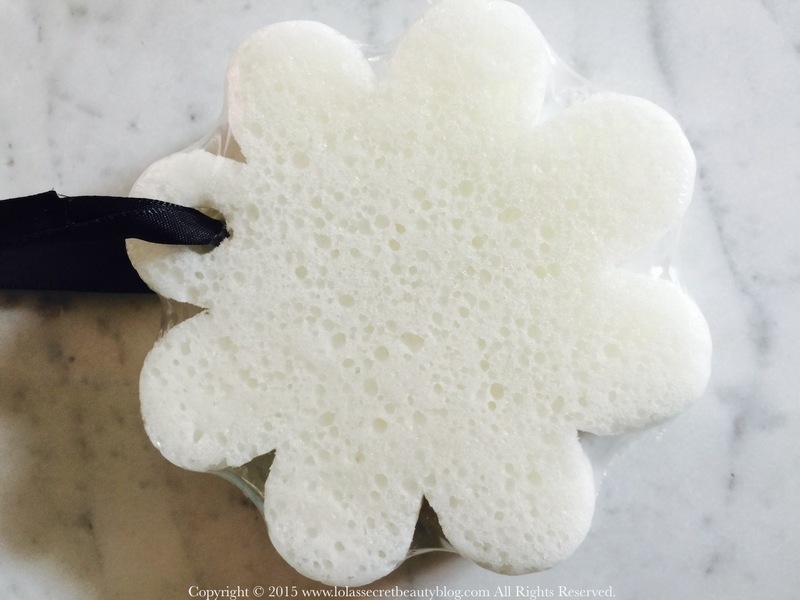 The soft side of the sponge effectively cleanses & tones the skin, while the textured side exfoliates dead skin cells and stimulates circulation. It features a peony fragrance that fills your shower with a lovely aroma that utterly delights the senses. This All-In-One Buffer + Polish is infused with subtle, yet energetic peony fragrance. 14+ washes per item. Overall Assessment: Whether you buy them as gifts, or for yourself– the Spongellé Body Wash Infused Buffers are the perfect choice for baby soft skin. $10.95 -$15.00 each from Spongellé, Beauty Encounter (heart), Tillys (flower), Anthopologie, Dermstore and Amazon (Affiliate Links). I've heard this product is going to be in the February 2016 Boxycharm so this review is very helpful! Hi Jonibeth, Thank you for stopping by! Actually, I was having the same issue finding a place to store mine, and finally found that hanging it on the outside shower door handle was a great place to store it. It remains free from the bacteria that tends to grow in the shower, and it dries out nicely between uses. I don't sneeze it out, but I do a light rinsing. I am so glad that you are loving yours, I think that these are absolutely wonderful! It works really well for me! You are so welcome!